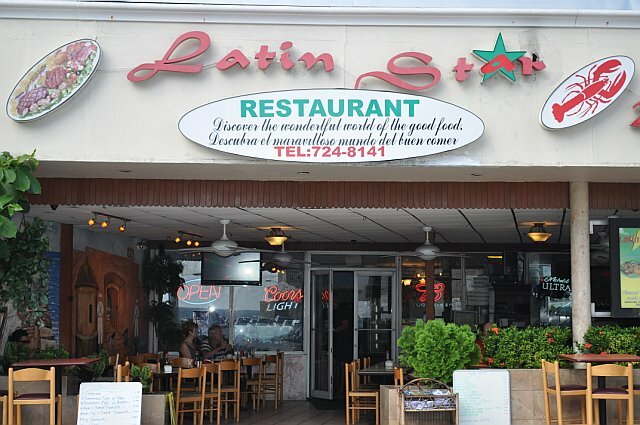 Puerto Rican cuisine in Puerto Rico is some of the best food you'll find out there. There is so much variety that you can visit the island for a week and never eat the same meal twice. 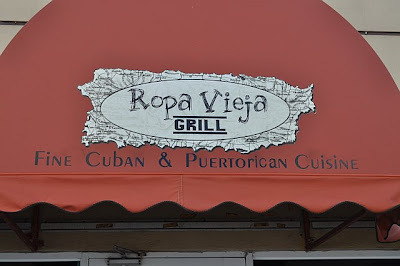 I jet setted there recently and kept notes of where I ate (in Old San Juan and Condado) so that when you jet setters visit Puerto Rico, you'll know exactly where to go and what to order. Buen Provecho! OLD SAN JUAN- If you are staying in the Old San Juan area, or just visiting during the day, the following places are delicious and won't break the bank. La Bombonera- (One of the oldest bakeries in P.R.) Try one of their mallorcas (Spanish pastry) and Cocoas (similar to a pizza). 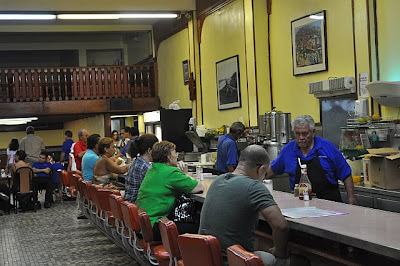 They also have great typical Puerto Rican lunch food like arroz con gandules (rice and beans), pernil (roast pork), arroz con pollo (chicken and rice), bistec empanada (breaded steak), etc. Also good to eat here is a Tripleta- a sandwich made with ham, chicken, beef, mayo, ketchup, fries, lettuce and tomato. 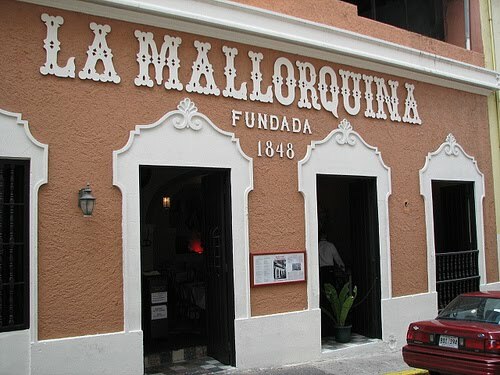 La Mallorquina- The 160-year-old restaurant is known for its family-style cocina criolla, or traditional Puerto Rican feasts: seasonal favorites include lechón (suckling pig), and their house specialty- Asopao (A heavy rice soup stewed with annato and sofrito with aji dulce (sweet chili peppers) and herbs such as cilantro. It is cooked with either chicken or sea food and topped with tiny green peas and red spanish peppers. 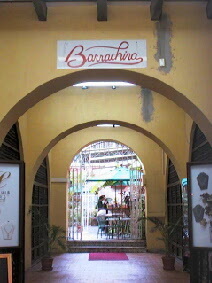 Barrachina- birthplace of the original pina colada (1963) Located on Calle Fortaleza. It's delicious! Drink them here & all over P.R...it's the thing to do! 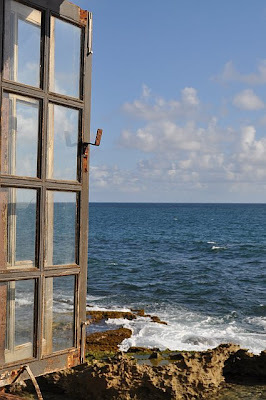 CONDADO- If you are staying in the Condado Resort area in San Juan, the following places are great to check out, and they are all fairly inexpensive (with the exception of Ropa Vieja). Hacienda Don Jose- This is a good breakfast spot. 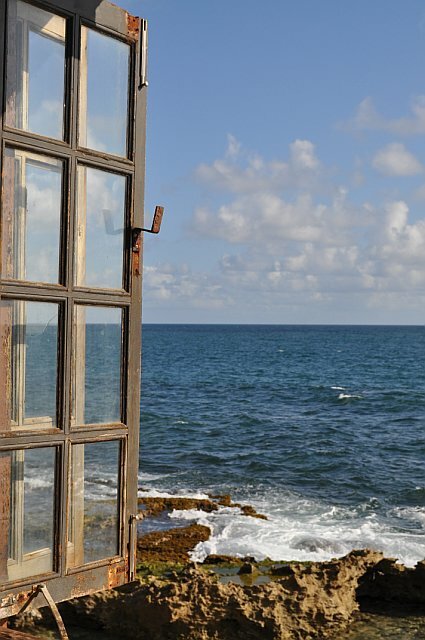 The place may not look like much on the outside, but the views from inside of the ocean are beautiful. You can get a complete breakfast (meaning coffee, juice, and your meal are included) for less than $8. 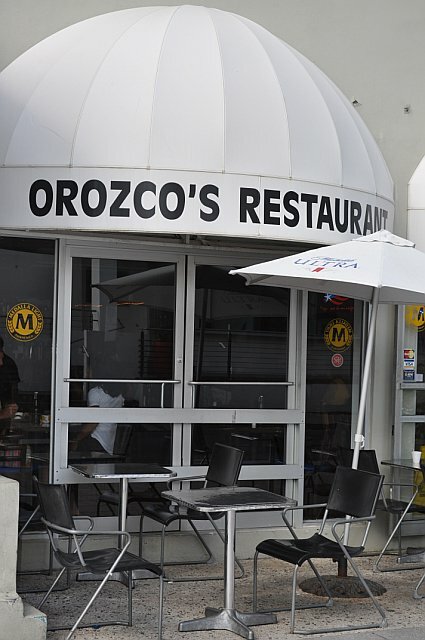 Orozco's Restaurant- This is a really good spot for either breakfast, lunch or dinner. If you go for breakfast, order the traditional fried eggs, pan tostada (toast) y jamon (ham) or the avena (oatmeal). 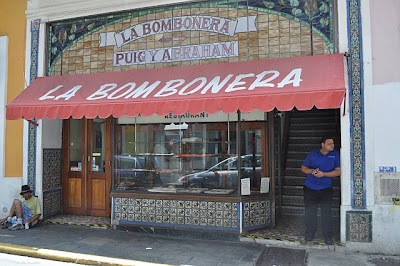 If you go for lunch or dinner, try their bistec encebollado (steak with onions), or Pasteles (yucca-vegetable- wrapped in a banana leaf and tied with a string. It is filled with diced pork, olives, capers, raisins and chickpeas and it is boiled). 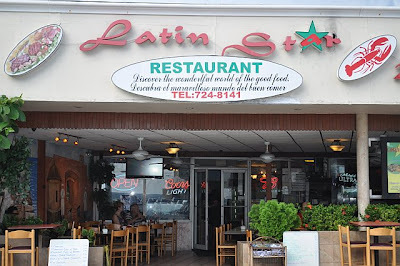 Latin Star- Another good breakfast, lunch or dinner spot because it is open 24 hours/ 7 days a week. 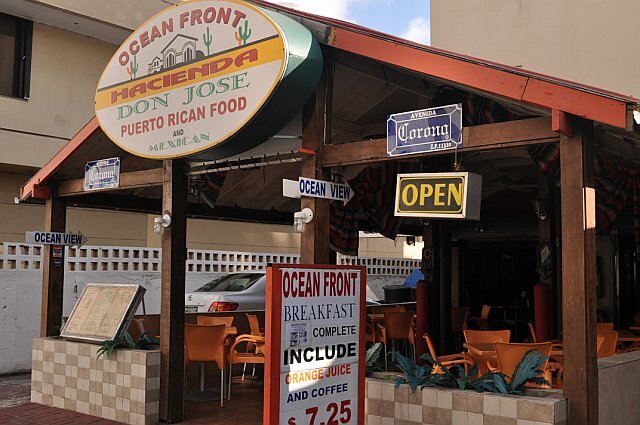 If you go for breakfast- you MUST have their Avena (oatmeal)- the BEST on the island! Ropa Vieja- The food is excellent here! Go here for dinner and make sure to order the Mofongo con Ropa Vieja (smashed plantain with pulled beef), and the Arroz con Pollo (Rice with chicken is also fantastic).